On April 7th, Pullman & Comley was proud to host the third Annual Lawyers Collaborative for Diversity (LCD) Fairfield County Networking Reception. 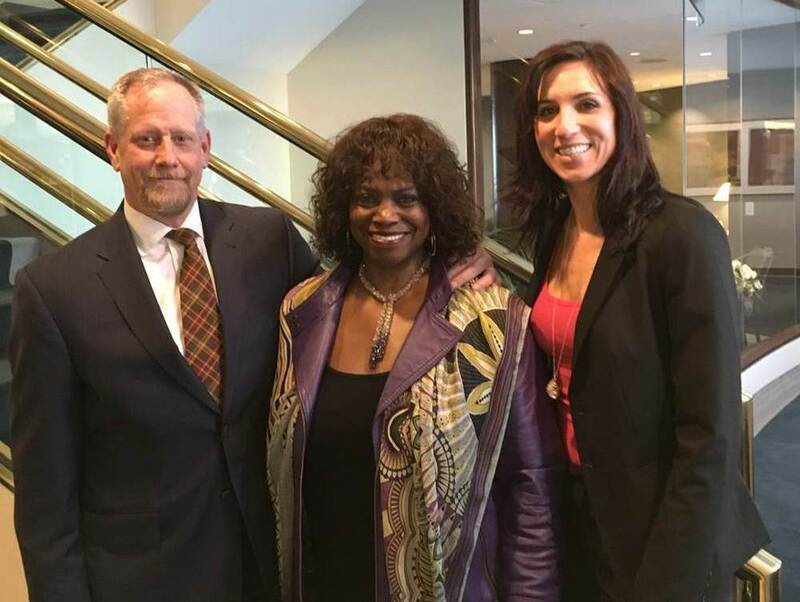 The event brought together lawyers from across Fairfield County and Connecticut who are dedicated to diversity in the legal community. The event was catered by Taco Loco, a Bridgeport-based minority owned business; the networking, food and margaritas were a big success! Pullman’s attorneys continue to make great strides in advancing diversity and inclusion efforts both within the Connecticut Bar Association (CBA) and within the Connecticut county bar associations. With respect to the CBA, Jess Grossarth and Bob Hinton attended three CBA Diversity Committee meetings in the First Quarter of 2016. The Diversity Committee meetings included fruitful discussions on the implementation of a diversity policy within each section of the CBA as well as discussions on a statewide Diversity Summit that is being planned for this Fall. In addition, on March 24th, Jess attended the CBA’s LGBT Section meeting where Vicki Ferrara spoke about Reproductive Law, and her surrogacy specialty. On the county bar association side, on March 29th, Bob and Jess attended a seminar offered through the New Haven County Bar Association and held at Quinnipiac University Law School entitled “Taking A Stand: Leadership In Retention & Diversity.” Before that, on February 8th, Jess, Nancy Lapera and Kelly O’Donnell attended a seminar held at the Greater Bridgeport Bar Association offices in Bridgeport entitled “Implicit Bias & Cultural Competency” offered by Judge Kahn and Justice Robinson. Aside from community involvement, the First Quarter of 2016 also saw Pullman attorneys take on significant projects geared towards renewing the Firm’s commitment to a diverse and inclusive future both within the Firm and beyond it. A number of Pullman attorneys have continued their work mentoring and coaching Posse scholars. The Women’s Leadership Initiative has also been active supporting women and family-focused organizations and sponsoring career development opportunities for women. On April 27, our women attorneys will team up with the Women’s Leadership group at MahoneySabol for a professional development program followed by a networking event and dinner. On April 30, men and women attorneys and staff will team up with People’s United Bank employees to support the Center for Family Justice’s “Walk a Mile in Her Shoes” event in Fairfield to end sexual violence against women and girls. On May 11, Pullman & Comley will be a sponsor for this year’s all-day Moffly Media forum “Women in Business Conference” to be held at the Greenwich Country Club. Three of our women attorneys will present an informational session targeted to professional women and women business owners on “Forming, Nurturing and Expanding Your Business: Recipes for Healthy Growth.” More than 300 women are anticipated to attend this exclusive event.